From Verona to Venice, there isn't a single city in Veneto where water doesn't play a major role. Responsible for the most part of its wealth and reason for being, water is a fundamental part of the region. Veneto's diverse art scene, just like its range of its gastronomic products, are reflective of a land that has built its reputation on its rivers and the sea. 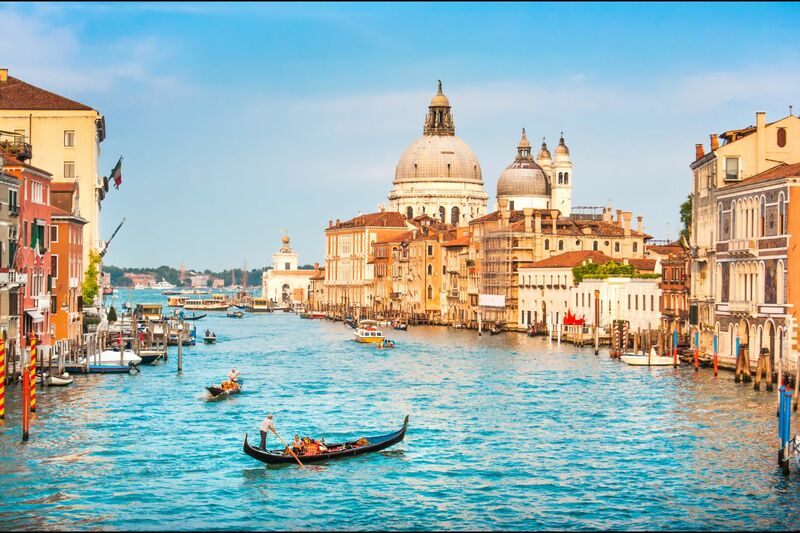 In Venice you will find "La Serenissima" (literally 'the most serene'), under Juliet's balcony or between the lines in 'Odi and Amo' by Catullus. Some of the region's other famous stretches of water include the Adriatic Sea, the Adige and Po Rivers, and Lake Garda. It is thanks to the fertility of the region that the province of Verona produces wine as good as any in Piedmont. Travel to the Po Delta park to see the tall peaks of the Dolomites reflected in the water. The cities and the countryside that surround them blend into one panorama, whose major strong point is the diversity linked to its history. Padua's network of arcaded streets and its university (the second biggest in Italy, after Bologna) played host to Dante, the famous Italian poet. The city of Vicenza and the Palladian Villas hold a cluster of works by the architect Andrea Palladio, and Belluno was the birthplace of Dino Buzzati. From Mount Baldo to Cadore and from the famous Asiago to Castel, every village in the Venetian mountains offers a selection of exquisite cheeses. In certain towns, it is still common practice to raise cows in the high mountain pastures. In these areas, the cows graze freely and their milk gives the cheese a natural flavour, which you can taste for yourself by stopping off at a 'malga' (shepherd's hut). In Valbelluna, in Agordino or even in the Lasseni Mountains, where there are plenty of shepherd's huts that make for good stopping points. The vineyards shape and characterise the appearance of the Venetian countryside. It is not by chance that Veneto features among the leading regions in Italy for its production of quality wines. Leaving from the province of Verona, you can go on a tasting tour. From the western part of Garda Lake, where Bardolino is produced, you can go to Valpolicella (the land of the wine of the same name), and on to Soave, a quaint Medieval market town surrounded by the region that produces Recioto di Soave and Soave Superiore wines. For those passionate about oenology, there is a vast choice of wines in Veneto but you should nevertheless stop off in the area of Conegliano and Valdobbiadene, as it is the birthplace of Prosecco, an excellent wine for any occasion. Find weekly weather forecasts for Veneto . Different criteria make it possible to predict with precision the best time of year to go to Veneto . A comprehensive weather score, made up of temperature indicators, bad weather predictions, sunshine levels and wind speeds, will allow you to choose the activities best suited to the weather conditions and therefore make the most of your holiday in Veneto . 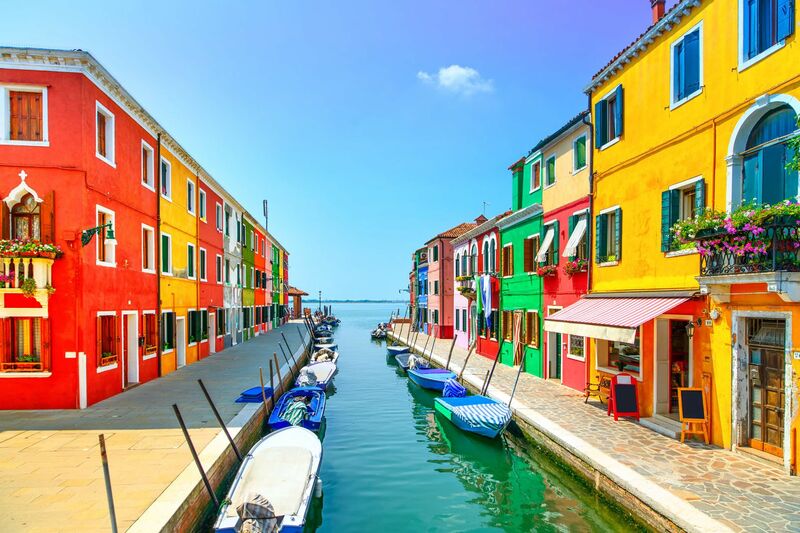 Veneto is a wealthy region, home to a number of individual boutiques and larger shopping centres where you can buy all sorts of things to remember your stay by. Strongly influenced by the style in Milan and the Lombardy region, Verona is where you will find the 'Grande Mela' and 'East Verona' shopping centres. However, Padua and Treviso are also becoming increasingly popular for clothes shopping.